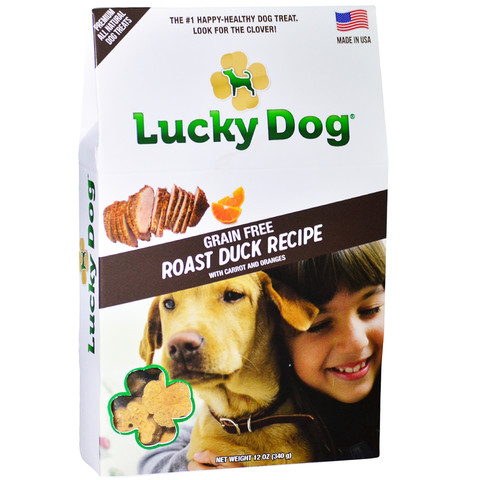 Protein and flavor-rich Lucky Dog® Grain-Free Roast Duck Treats are delicious and nutritiously-balanced, complete with complimentary ingredients for a well-balanced snack or reward. Wheat, corn and soy free - great for all size dogs. Made in the USA.